With the advent of the Internet and the limitless information it contains, we're less sure about what we know, who knows what, or even what it means to know at all. And yet, human knowledge has recently grown in previously unimaginable ways and in inconceivable directions. In Too Big to Know , David Weinberger explains that, rather than a systemic collapse, the Internet era represents a fundamental change in the methods we have for understanding the world around us. 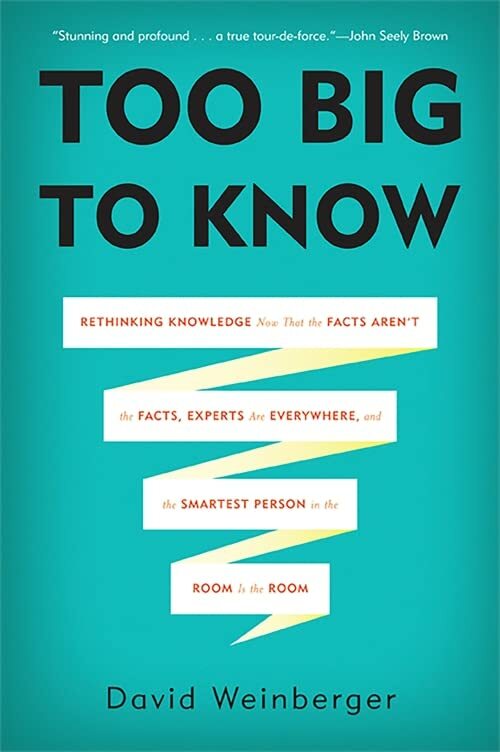 With examples from history, politics, business, philosophy, and science, Too Big to Know describes how the very foundations of knowledge have been overturned, and what this revolution means for our future.